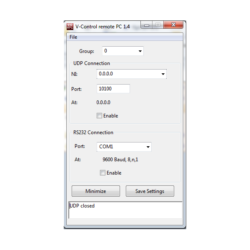 V-Control Designer is the application to create user interfaces for V-Control. It integrates an Editor, a show mode that can run in full screen mode and a web server. The software is still Beta. You may wonder why we sell Beta software. Well, the final price for V-Control Designer, if all features that are missing at the moment are integrated, will be something about 200 Euro. If you buy a License today for a much lower price, we promise that this License will be also valid for the full featured product. Download a Demo Version and test what you get today. At the moment the Web Server part has a little performance problems. Web applications run very well if they are not to big. However, the Windows application performs very good. Without a valid license key, the software runs in Demo mode. This means that every 30 minutes the software will exit the run mode (if running) and shows a message box that you are in demo mode. 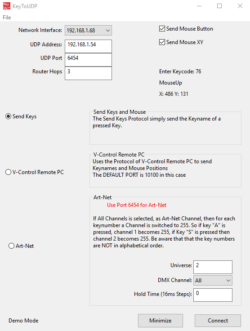 How to get a license key is explained in the V-Control Extras section.